The Magic Story Shop has a cover! 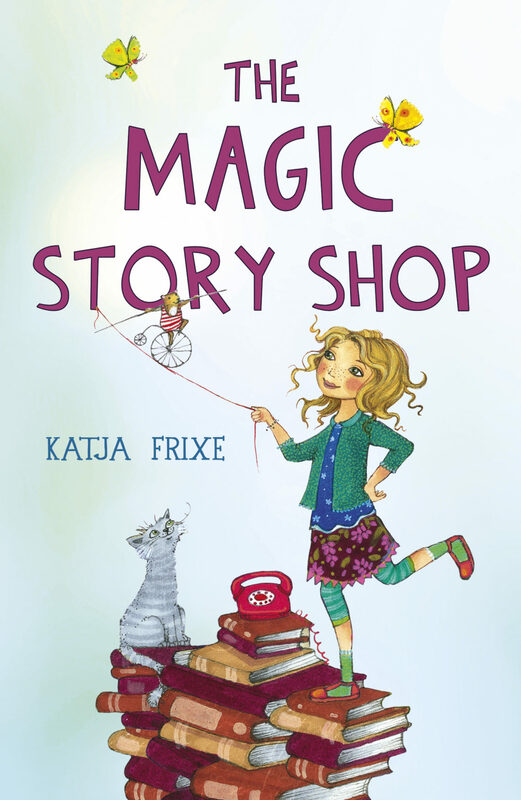 My translation of Katja Frixe’s The Magic Story Shop is now up on the Rock the Boat website. It’s out in October 2019, so I’m afraid you’ll have to wait a while to get your hands on a copy, but meanwhile I thought I’d whet your appetite with the blurb and the cover! When Clara is unhappy a trip to Mrs Owl at the Magic Book Shop always helps cheer her up. But now it is her turn to help Mrs Owl. This is Clara’s favourite place in the whole world. Here, Clara can settle down and get lost in one of the many books, joke around with Gustaf the rhyming cat, and get advice from Mr King the talking mirror. Not only does Mrs Owl love to give out chocolate cake, she also has a book tip for every mood. But when an antiques dealer claims the mirror is actually his and tries to take it back, Mrs Owl is distraught. Clara and her new friends must find a way to save the bookshop – and Mr King.